Reusability, interoperability, and extensibility have arrived in the area of e-learning. The Sharable Content Object Reference Model (SCORM) standard allows compliant e-learning content to be deployed on any Learning Management System (LMS) and assembled with other SCORM-compliant e-learning content to create a course that brings together best-of-breed learning components. Sharable Content Object Reference Model (SCORM) is a collection of standards and specifications for web-based e-learning. It defines communications between client side content and a host system called the run-time environment, which is commonly supported by a learning management system. SCORM also defines how content may be packaged into a transferable ZIP file called “Package Interchange Format”. 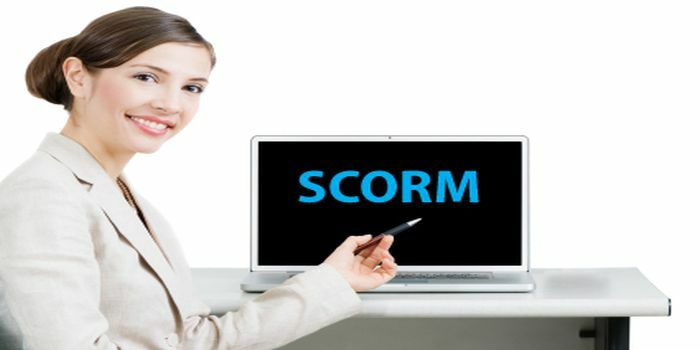 SCORM is a specification of the Advanced Distributed Learning (ADL) Initiative, which comes out of the Office of the United States Secretary of Defense. SCORM 2004 introduced a complex idea called sequencing, which is a set of rules that specifies the order in which a learner may experience content objects. In simple terms, they constrain a learner to a fixed set of paths through the training material, permit the learner to “bookmark” their progress when taking breaks, and assure the acceptability of test scores achieved by the learner. The standard uses XML, and it is based on the results of work done by AICC, IMS Global, IEEE, and Ariadne. The next generation of SCORM is happening right now. It’s called the Tin Can API. The Tin Can API is a huge leap forward for the e-learning community. The Tin Can API is an e-learning software specification that allows learning content and learning systems to speak to each other in a manner that records and tracks all types of learning experiences. Learning experiences are recorded in a Learning Record Store (LRS). LRSs can exist within traditional Learning Management Systems (LMSs) or on their own. Prior to SCORM, e-learning content was not interoperable (an entire course or its components could not be moved from one LMS to another) and therefore not sharable. A good way to understand SCORM is to start from the end product. SCORM courses or sub-courses are delivered as a package in Package Interchange Format (PIF). An example of a package is a ZIP file, which contains all the files relevant to a course/sub-course: content, metadata about the content, metadata about the course, and the course structure (such as a table of contents with information about sequence and navigation). The key to making the package interoperable is that at least one of the content files contains methods (prescribed by SCORM) that allow the package to interface with any LMS. Ranosys Technologies has worked extensively on the Learning management System. We thrive to deliver the best keeping in pace with the latest tools and techniques. SCORM being the compliance for the Learning Management Systems has been used in all our endeavors. The success in the projects undertaken by Ranosys Technologies was achieved by using the SCORM content package, which is a self-contained ZIP file containing certain contents defined by the SCORM standard. The file is known as a Package Interchange File (PIF) and it contains all files needed to deliver the content package via a SCORM run-time environment and/or learning management system (LMS). All the files that make up a content package must fit within the same directory tree structure within the PIF file. Your package may group everything into a single directory, or it may use sub-directories within the root (e.g., one directory for each SCO). All files used by the content package must be within the content package. References to external files or absolute URLs are not allowed. SCENARI is an open source application suite for designing publishing chains, used for creating professional standard multimedia documents. An publishing chain is a technological and methodological process, a product of document engineering research. The publishing chain approach is to create a document model, to make content creation easier and to automate formatting. Content Shaper – free authoring tool oriented at assembly, updates and maintenance of learning content across it’s lifecycle. Content Sharer utilizes a separation of content and presentation idiom, so it’s suitable for adaptive learning, different delivery formats, content re-purposing. This is a free software for creating e-learning courses with flash interactivity. It is free to sign up and make the courses – there are many customizable templates enabling users to import images/video/audio/etc and incorporate them into scored questions of varying formats. The finished course can be exported as SCORM 2004 or SCORM 1.2 compliant -again for free and then hosted on a MOODLE or other site. Quite intuitive to use and offering many features, it is however dependent on good connection to the site as it is created online. Also doesn’t seem to like working in Opera. It is a free authoring tool oriented at assembly, updates and maintenance of learning content across it’s lifecycle. Content sharing tool utilizes a separation of content and presentation idiom, so it’s suitable for adaptive learning, different delivery formats, content re-purposing. Lectora Inspire makes online course development fast and simple. Bundled with the leading flash content creation, screen capture, and recording software, Lectora’s powerful authoring tools empower you to quickly create dynamic video and Flash eLearning content. Publish options include: SCORM and AICC-compliant Learning Management Systems, HTML, CD and a variety of mobile devices. Free tool from Microsoft that allows to create SCORM resources using drag and drop. The LCDS is a free tool that enables the Microsoft Learning community to create high-quality, interactive, online courses. The LCDS allows anyone in the Microsoft Learning community to publish e-learning courses by completing the easy-to-use LCDS forms that seamlessly generate highly customized content, interactive activities, quizzes, games, assessments, animations, demos, and other multimedia. DemoCreator is a flash-based screen recording software which allows users to generate screen cast by recording computer screen. It’s mainly used to create desktop tutorials and Web-based presentation for distance learning and training. The SCORM or AICC output package for LMS is also available. Create and publish SCORM-compliant courses with WYSIWYG tool, that are ready to be uploaded into any LMS. The Instructional Content Editor Tool offers many features including streaming video, pre-made page templates, storyboard export to Word function, language translation and many more. Anyone can create a high quality learning course easily. TutorPro’s TutorAuthor NG is a professional software application for quickly creating interactive lessons, training, demonstrations, and simulations. Anyone who needs to develop online product demonstrations, software simulations for e-learning, or online tutorials for user support will find TutorAuthor NG an ideal solution. TutorAuthor NG includes everything you need to capture actions in any application and instantly create a 3D life like simulation. The application is equally at home creating ‘soft-skill’ tutorials such as new employee introductions, company policy, in fact anything that can be taught electronically. If you use TutorAuthor NG to create e-learning content, you can add realistic, fully interactive question slides, buttons, click boxes, and text entry boxes, and much more. TutorAuthor NG is SCORM 1.2, SCORM 2004, and AICC compliant, allowing effortless integration with any compliant Learning Management System (LMS). The expertise of the development team of Ranosys Technologies provides the needed level of efficiency and user friendly environment for the LMS by using the SCORM package that helped in assembling, organizing, structuring and deploying the system in an effective way.